Yep, that’s right! Retired four-time Monster Energy AMA Supercross champion, Ryan Villopoto, will head Down Under for the first time to contest the second annual AUS-X Open at Sydney’s Qudos Bank Arena on November 12-13.
www.motoonline.com.au Multiple American champion coming to Australia. Four-time Monster Energy AMA Supercross Champion Ryan Villopoto has been announced as the first major international for the 2016 AUS-X Open at the Sydney Qudos Bank Arena on 12-13 November. 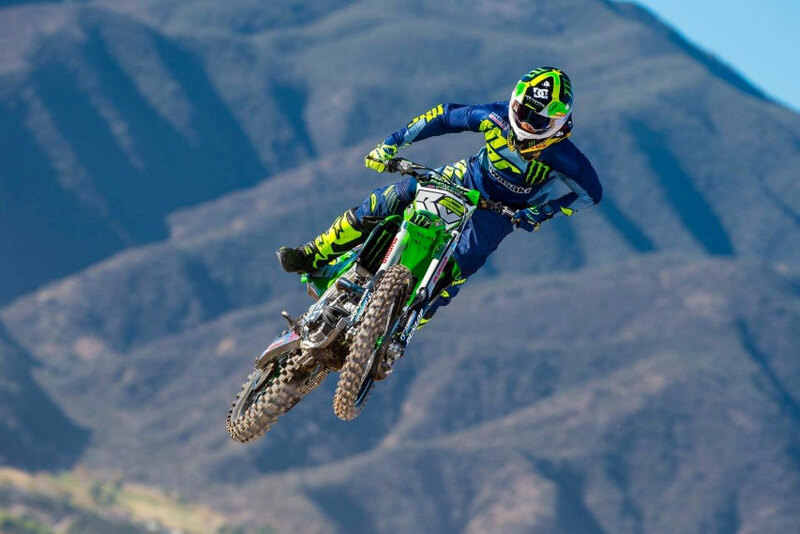 The 27-year-old American won four consecutive titles between 2011-2014, before transferring to the MXGP World Championship last year and retiring from the sport altogether in 2016. Villopoto is globally recognised as one of the sport’s greatest ever indoors and outdoors, also a three-time 250 Class and two-time 450 Class Pro Motocross title winner in the US during his career. It’s not yet understood whether Villopoto will race the entire event, which doubles as the Australian Supercross Championship finals, or if he will take on more of a unique role as countryman Ricky Carmichael did in the inaugural running. Villopoto joins Australia’s best-ever export Chad Reed in appearing at the 2016 AUS-X Open, the two-time Monster Energy AMA Supercross Champion from Kurri Kurri’s start in the event once again made official last week. More to come next Wednesday, 25 May, when event organiser AME Management releases complete details on Villopoto’s AUS-X Open involvement. Registration for pre-sale tickets is available now on www.ausxopen.com.